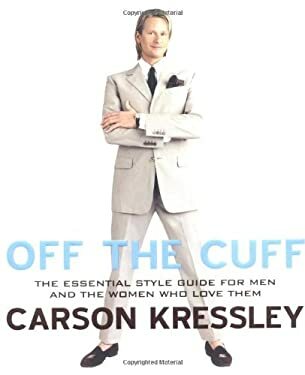 Should future cultural historians harshly re-evaluate Queer Eye as the minstrel show of our day, they’ll hold up Kressley’s performance as Exhibit A. Ablaze with bright colors and camera-distracting accessories, the man could, seemingly on cue, turn on a firehose of groanworthy sexual innuendo and witheringly sarcastic critique. If you never watched the show, you’ll find him insufferable already; if you did, you’ll understand that he nevertheless emerged as the most appealing character of many an episode. He somehow inspired the confidence, beneath all the theatrics, that he really did know his stuff. You wanted him in your corner. Cut to your core though his choice words about your shirts may, you knew he would sooner die than fail to find you better ones. Fans still argue, in comments below the broadcasts that have made it to YouTube, about whether the Fab Five truly left any given straight better off in the time-consuming food, complicated decor, or nebulous cultural departments, but at least Kressley always seemed to leave them more respectably clothed than he found them. Read the whole thing at Put This On. This was written by Colin Marshall. Posted on Tuesday, February 5, 2013, at 2:04 am. Filed under books, clothes. Bookmark the permalink. Follow comments here with the RSS feed. Post a comment or leave a trackback.